Next Sunday, March 13th is Fair Food‘s 12th annual Brewer’s Plate, an evening full of fine local foods and craft beers. Returning to the gorgeous Kimmel Center for the third year in a row, the evening will feature more than 1000 food and craft beer enthusiasts — eating, drinking, mingling and dancing into the evening. The Brewer’s Plate is one of the food/beer events I personally look forward to the most every year. Growing up, what annual meal, seasonal ingredient, etc. did you get most excited for? Any meal, ingredient, etc. that you anticipate every year now as an adult, too? 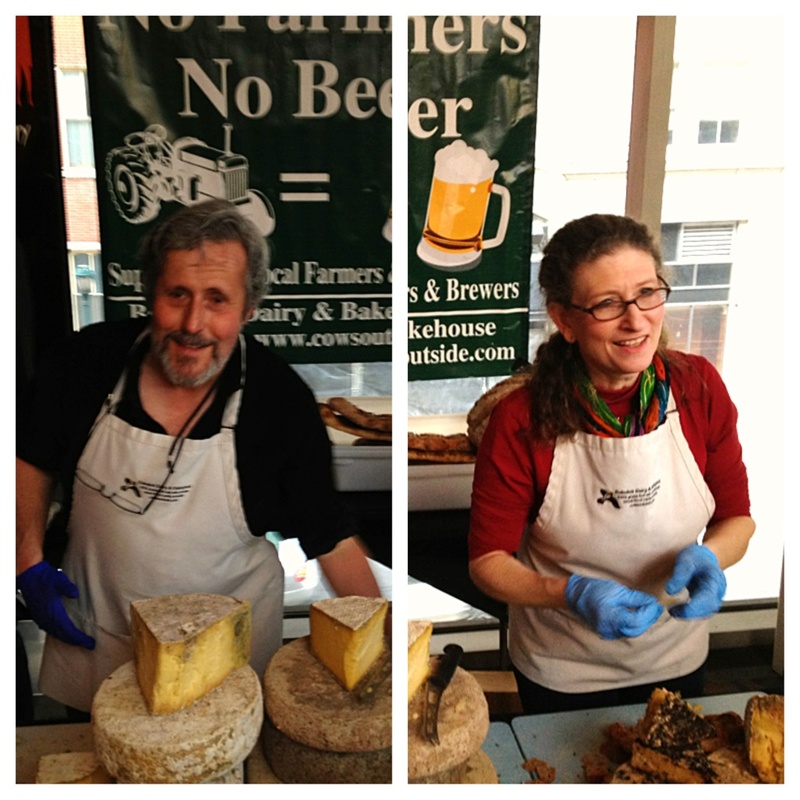 Bobolink Dairy & Bakehouse’s cheese maker Nina White: I have to say that I look forward to all of the fruits in all seasons, as I love them all with Bobolink cheese! Fresh peaches and nectarines with Drumm, roasted butternut squash with Jean-Louis, and of course, an apple biscuit made with our 100% grass-fed butter and local, tangy apples! Conshohocken Brewing Co.’s head brewer Andrew Horne: I can eat my body weight in watermelon if you let me. It’s rough nowadays because you can only get the under-ripe seedless watermelons and they don’t have anywhere near as much flavor. To me, watermelon means summer, family, friends, BBQ’s and playoff hockey. Give me a whole watermelon, with seeds, a 6-pack of Helles lager, a Stanley Cup game, and I’m in heaven. 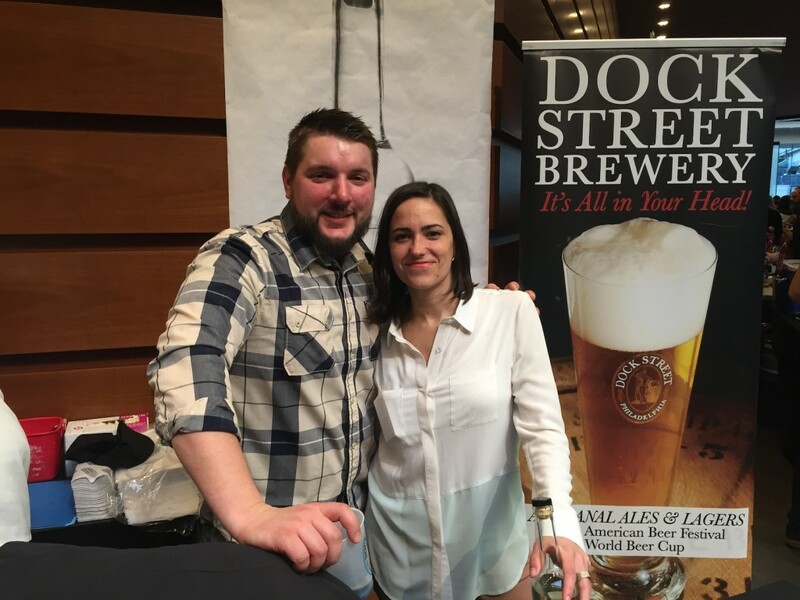 Dock Street Brewery head brewer Vince DesRosiers: Growing up, during the winter, my mom made ham and potato soup. It warmed me to my bones. I love growing and using fresh basil during the spring/summer. I enjoy grilling anytime of the year. Fire the grill up in the middle of a snowstorm and drink imperial stout, it’s good for the soul. 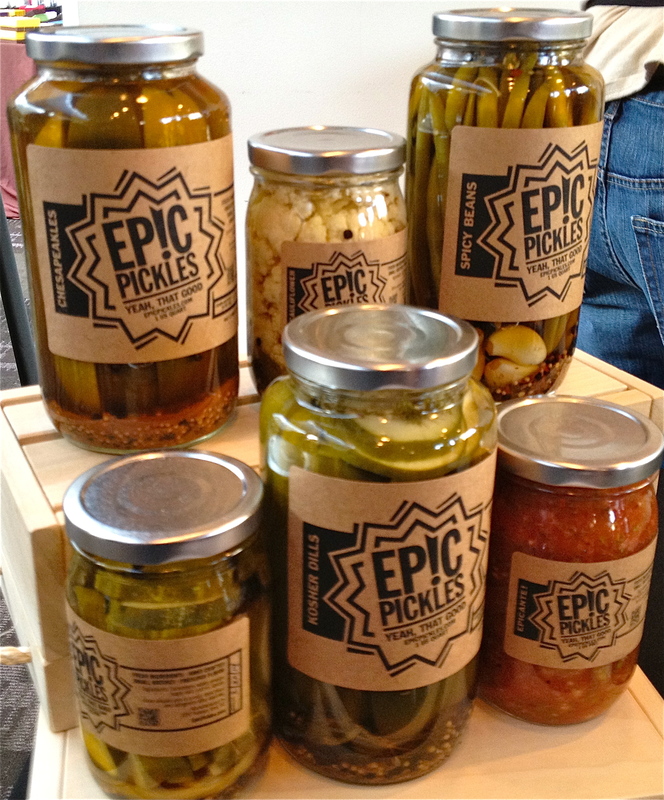 EPIC Pickles’ founder/pickler Rob Seufert: When I was younger, it was grandma’s mac-n-cheese! She didn’t make it all the time, but those holidays were the best. Family crowded around a small row house kitchen table, laughing and eating fabulous food. Times I miss dearly. And during some of those same holidays brings me to today ­with oysters. I remember helping my grandfather shuck oysters in the back yard of that same house. I didn’t get to truly appreciate it until I was older. But now in those months that contain an “R,” the shucking at my house continues that tradition. Love it! Fair Food Farmstand’s project manager Alex Jones: I grew up in a suburban sprawl, but my mother is from rural Quebec. And her 10 brothers and sisters and many of my 25 cousins still live there. When we’d visit them during summers in June, strawberries would just be coming into season, and a crew of us would always go picking. Then we’d harvest rhubarb from my grandma’s patch and make pies. The whole growing season, from the first new kale of the year in early spring to apples in September, is exciting! Every year the growing season is a little different, but it’s variations on the same rhythm — familiar yet new each time. The Farm at Doe Run‘s cheese maker Samuel Kennedy: In the spring, I look forward to fresh onions, ramps and asparagus. It is always the first ingredients that scream warm weather is on the way to me and stirs the creative juices needed to look forward to summer. In the summer, I look forward to cling-free peaches. At this point of the season, I know the hottest days are upon us and the relief of the cooling nights of the fall is insight. In the fall, I look forward to winter squashes. The diversity that is found within this group of vegetables is astonishing, and the flavor profiles are as nuanced as the colors of the changing leaves. Iron Hill Brewery-Ardmore’s head brewer Paul Rutherford: One of my favorite foods is avocado. Where I grew up in California, our neighbor had an avocado tree in his front yard, and his pit bull got fat eating all the avocados that fell off of the tree. Misconduct Tavern’s executive chef Nicholas Mezzina: The seasonal ingredient I most looked forward to growing up was fresh clementines from Spain. My father had a produce store and my brothers and I would eat cases of them once the winter came and they were brought home. They always came in small wooden crates and we loved it. As I’ve gotten older, I look forward to the fishing seasons the most. Striped bass and fluke, and Alaskan wild salmon are my favorite seasons, followed by the Ramapo tomato season. Of course I always get some Beaujolais Nouveau around Thanksgiving as well! Night Kitchen Bakery & Cafe’s owner Amy Edelman: Spring is my favorite season and has been since I was a child. My mom was a great cook, and we always looked forward to spring vegetables like asparagus and peas. ShawneeCraft Brewing Company’s Philly Evangelist Cosmo Iacavazzi: When I was growing up, my mom, who was so Irish her nic-name was “Mugsy McGraw,” would make this giant pan of broiled chicken with carrots, cabbage, and potatoes. I loved it! It was drenched in chicken stock, seasoned perfectly with pepper, sage, and rosemary. Yum! She still makes it, and I love to wash it down with a ShawneeCraft American Farmhouse or Biere Blanche! Now I’m married to an amazing chef. Everything is unbelievable, but my favorite is her turkey chili. Lots of diced tomatoes, fresh corn, onions, celery and garlic! A little jalapeño action and balanced with cumin, chili powder, and bay leaves … OMG! You’re gonna’ want a ShawneeCraft Session IPA or three with this! Saint Benjamin Brewing Company‘s brewer/operations manager Christina Burris: I grew up in South East Texas, so my seasonal food memories may vary a bit from people around here. This time of year down there, asparagus would be coming in to season and some of the stone fruit like apricots wouldn’t be far off. Crawfish boils and king cake would be around (but then my memory may be moving some seasons around there). Since moving up north and having more culinary tastes develop, I look forward to all of the flavor combinations that Philly chefs bring to Brewer’s Plate. Taproom on 19th‘s co-owner Pete Fry: My love of food dates back as long as I can remember. I’m pretty sure I was the only 5th grader who looked forward to taking a few friends into New York for Dim Sum on his birthday. Varga Bar’s executive chef R. Evan Turney: My most anticipated time of year is Thanksgiving. It’s my favorite meal to cook. I love when the seasons change to autumn and you can smell burning firewood outside or the smell of a kitchen in the fall when somebody is baking. When we are smoking something at Varga, the wind catches the smell and you can smell it blocks away. I love working with all the fall spices. I love slow-cooking turkey. We always do our outdoor turkey fry in November as well. You can smell the turkeys frying from 3-4 blocks away people tell me. Pumpkin cheesecakes, apple pies, autumn cobblers, and of course, football! Victory Brewing Company’s president/brewmaster Bill Covaleski: Apple cider is at the center of my favorite season, autumn. Fall is my favorite for the weather and the harvest high gear of culinary options it brings. Cider and cider vinegar can enhance such a broad range of dishes that my appreciation of it has only increased as I grew older. Oh, and as a adult, I have crossed paths with the fermented version often, from Normandy to New England, and have always continued down the road with a bigger smile on my face. Weyerbacher Brewing Company’s head brewer Scott Bicksler: When I was younger, I remember looking forward to Thanksgiving dinner for weeks. We would go to my aunt and uncle’s house, and there would be plates of tasty hors d’oeuvres, adults drinking and laughing and football on TV. Then at dinner, my aunt would make delicious sausage stuffing with various herbs and nuts, fresh cranberry sauce, and of course, turkey. Now as an adult, we trade back and forth hosting Thanksgiving with my wife’s sister, and we’ve created our own tradition of frying a turkey and smoking a turkey. And of course, while my wife and her sister try to out do each other with creative and delicious side dishes, my brother-in-law and I try to out do each other with new and interesting beers to go with them.